Kouvola is a town and municipality in southeastern Finland. Take a break from the city and head to Arboretum Mustila and Niivermaki Nature Conservation Area. You'll explore and learn at Langinkoski Imperial Fishing Lodge Museum and Kouvola City Museum. You'll find plenty of places to visit near Kouvola: Kotka (Santalahti Nature Trail, St. Nicholas Orthodox Church, & more), Valkmusa National Park (in Siltakyla) and Hiidenvuori (in Iitti). To see more things to do, traveler tips, and other tourist information, go to the Kouvola trip planner. Charlotte, USA to Kouvola is an approximately 17.5-hour flight. Traveling from Charlotte to Kouvola, you'll lose 7 hours due to the time zone difference. Traveling from Charlotte in September, expect nights in Kouvola to be little chillier, around 46°F, while days are much colder, around 59°F. Finish up your sightseeing early on the 11th (Wed) so you can go by car to Savonlinna. Start off your visit on the 12th (Thu): appreciate the history behind Savonlinna Herostatue - The Hero's Grave, explore the historical opulence of Savonlinna Cathedral, look for gifts at Taito Shop Savonlinna, make a trip to Pikkukirkko, then step into the grandiose world of Olavinlinna Castle, and finally examine the collection at Savonlinna Provincial Museum. 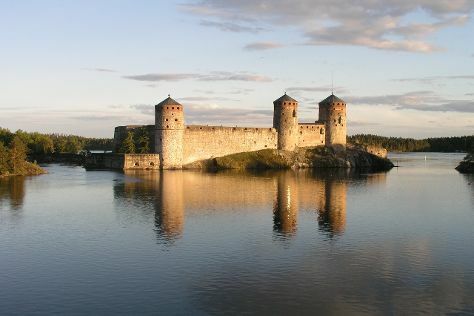 Plan my trip to Savonlinna with suggested itineraries provided by Inspirock. You can drive from Kouvola to Savonlinna in 3 hours. Alternatively, you can take a train; or do a combination of train and bus. In September in Savonlinna, expect temperatures between 57°F during the day and 44°F at night. Finish your sightseeing early on the 12th (Thu) so you can drive to Tampere. Start off your visit on the 13th (Fri): see the interesting displays at Mediamuseo Rupriikki, see the interesting displays at Vapriikin Museokeskus, then contemplate in the serene atmosphere at Tampere Cathedral, and finally identify plant and animal life at Hatanpaa Arboretum. 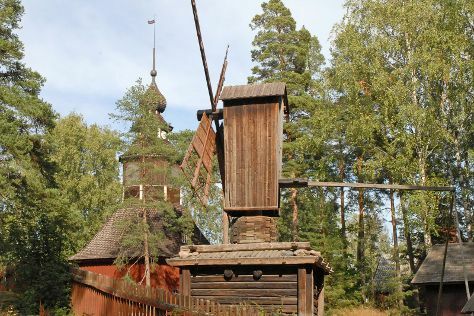 Get ready for a full day of sightseeing on the 14th (Sat): steep yourself in history at Amuri Museum of Workers' Housing, enjoy breathtaking views from Pyynikki Park and Observation Tower, then get engrossed in the history at Emil Aaltosen Museo, and finally get engrossed in the history at Visavuori. 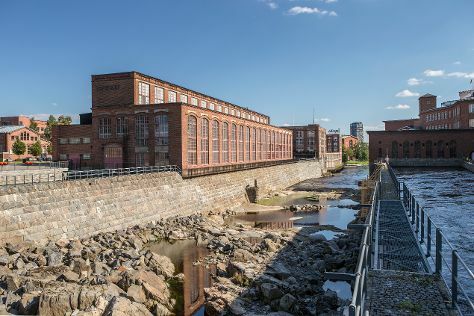 Plan my day in Tampere using traveler tips and tourist information provided by Inspirock. Traveling by car from Savonlinna to Tampere takes 5 hours. Alternatively, you can do a combination of flight and train; or do a combination of bus and train. In September, daytime highs in Tampere are 58°F, while nighttime lows are 43°F. Finish up your sightseeing early on the 14th (Sat) so you can catch the train to Helsinki. Museum-lovers will appreciate Seurasaari Island and Open-Air Museum and Kansallisgalleria. Your inner history buff will appreciate Rock Church and Sea Fortress Suomenlinna. Change things up with a short trip to Nuuksio National Park in Espoo (about 46 minutes away). The adventure continues: pause for some serene contemplation at Helsinki Cathedral, appreciate the extensive heritage of The Esplanadi Park, and take in the spiritual surroundings of Uspenskin Cathedral (Uspenskin Katedraali). For more things to do, maps, reviews, and other tourist information, read Helsinki day trip website . Traveling by train from Tampere to Helsinki takes 2 hours. Alternatively, you can drive; or fly. In September, daytime highs in Helsinki are 61°F, while nighttime lows are 45°F. Wrap up your sightseeing on the 17th (Tue) to allow time to travel back home.